Photosensor included as a standard feature for daylight harvesting. 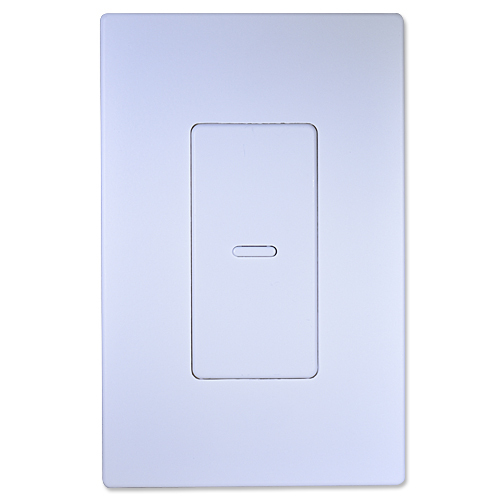 0-10V analog dimming with single circuit switching (single pole, single phase). Automatic-on (Occupancy) and Semi-Automatic (Vacancy) operating modes to satisfy energy codes and/or application requirements. The detection coverage area can be expanded by connecting a secondary sensor CONNECT-S-SM, part number 97124. Up to 10 secondary sensors can be connected to a primary sensor. All programmable features are adjusted using our free Android and iOS apps (requires IR-ADAPTER, part number 92726 sold separately).